In the efforts to reduce road accidents and insurance claims, car insurance companies are searching for ways to better measure driver behaviour and to find the best scientific data to calculate what is safer driving! Insurance is all about measuring and calculating risk. Insurance companies evaluate the level of risk and then set premium rates and coverage per the measurement in question.  We would like to share in this section an analysis of how the leaders in vehicle telematics are assisting our car insurers to measure driver behaviour by using the tools of vehicle and insurance telematics. Question 1: What is Ctrack’s approach to Insurance Telematics? 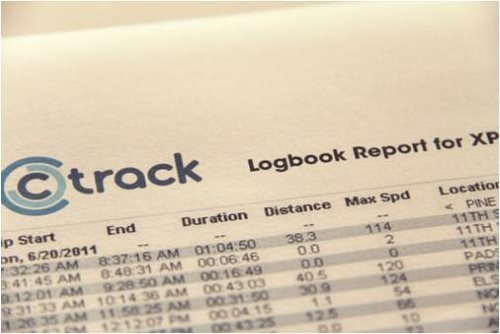 Ctrack has a long standing vision for insurance telematics which stretches back to the mid 2000’s. Our insurance telematics solutions are cost-effective and particularly suitable for short-term vehicle insurance of consumer and fleet vehicles. Ctrack’s solutions measure and identify trends, patterns and events in vehicle usage and driver behaviour that impact the risk profile of the vehicle. High resolution data at sub-second intervals are also available for crash analysis and independent verification of the Ctrack on-board analytics. Excluding external and uncontrollable risk elements, our experience shows that typically 60% of a vehicle’s risk profile is attributable to the vehicle’s usage patterns, while the remaining 40% relates to the driver’s behaviour, his attitude and motoring habits. Ctrack provides all the necessary information to short-term insurance companies, to accurately rate the risks in both these categories for each individual vehicle in their insured fleet. Fraud prevention is another focus area of Ctrack’s technology. Using various impact and incident detection features, insurance companies can implement a proactive system to reduce fraud, typically called FNOL in the UK (First Notification of Loss). Using these advance features, it is easy to provide value added options such as medical and emergency services to assist clients during such unfortunate situations. Ctrack adds a new dimension to the traditional “insurance vs insured” relationship. With Ctrack an insurance company is now able to conduct an ongoing positive dialogue with each client, based on their individual behaviour and risk profile. This could be around safer driving and an improved green motoring lifestyle. Supported by loyalty schemes to reward the client, these are guaranteed to nurture responsible and good driving habits. 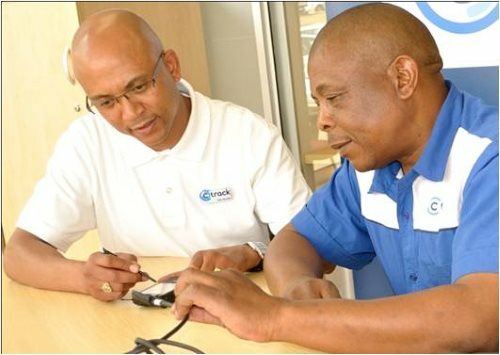 Value added telematics features and information for the consumer and end user are a core part of the Ctrack value proposition. Typically used to segment the market, it allows the Insurance Company to differentiate itself from the many entry-level and “me to” Pay As You Drive insurance offerings now available. 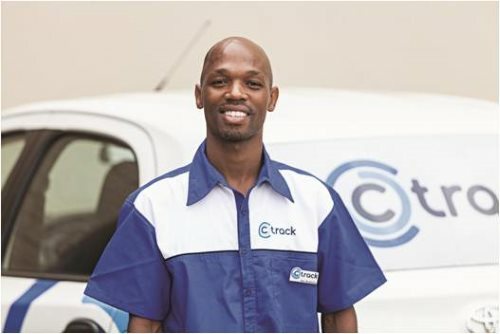 With more than 25 years in the fleet management and telematics industry focusing on vehicle and driver management, Ctrack has shown the value in providing feedback to drivers to improve their driving behaviour. Supported by short term behavioural change programmes designed to enforce positive change, it translates to benefits for the insurance company and the insured. Ctrack’s telematics solutions have the necessary features and capabilities to design a holistic insurance “eco system”, supporting all facets of consumer interaction to establish new rules for competing and client retention in the short-term vehicle insurance industry. In summary, Ctrack telematics ensures that the insured is treated and rated as an individual; this is a refreshing change to the traditional group risk approach. Ctrack’s information allows vehicles to be accurately categorised into Lower Risk; Average Risk; and Higher Risk profiles, allowing an insurance company to design unique consumer offerings to reward the lower risk vehicles/drivers, retain and re-sign the average risk vehicles/drivers by offering Ctrack’s value added services, while clearly identifying the high risk vehicles/drivers which should ideally be moved outside the insured fleet. Discovery Insure has successfully used Ctrack to measure individual risk profiles while changing driver behaviour using rating feedback and monthly benefits. Their unique and innovative value proposition resulted in rating 350 million kilometers of driving on 35,000 insured vehicles in the first 18 months of operation. Question 2: What is the ideal period for the Insurer to accurately evaluate/rank the driving behaviour of its subscribers? For a reliable rating risk on insured vehicles they should be evaluated over at least a few months. Ctrack looks at trends, patterns and events related to two distinctive risk categories, namely Vehicle Usage Patterns and Driver Behaviour/Attitude. Typical periods used in the industry are 2-3 months for determining the vehicle’s usage risk, while Ctrack recommends 3-4 months minimum to determine statistical significant driver behaviour patterns, especially if the vehicle is driven by more than one driver. Due to well-known and proven human behavioural traits, a longer period for driver behaviour is advised – when a driver knows he/she is now being monitored and rated, he/she will initially drive very conservative and be on their best behaviour, but once the novelty wears off, old habits take over and the driver behaviour risk increases again. Does Ctrack support rolling programmes of re-installations? Usage Based Insurance (UBI) programmes which aspire to rate risk on more than just a vehicle’s usage pattern needs continuously updated telematics data. Ctrack recommends a permanent installation for these programs due to advantages it offers the insurance company and the insured. The continuous data stream allows risk trends on individual vehicles to be maintained and even predicted, while providing early warning of changing risk profiles. Compliance monitoring of specific policy conditions and fraud deterrent services like FNOL (First Notification of Loss) are further advantages of a permanent installation while allowing unique solutions built around medical and emergency services to be offered. Question 3: We believe Ctrack’s Insurance Telematics can make a difference – where do we start? In most markets the vehicle usage patterns contribute more than 50% of the vehicle’s risk and this is where we recommend an insurance company should start. These patterns can be determined from basic tracking information such as where, when (time of day/week), for how long, how far and at what speed the vehicle was driven. These are also the easier parameters to correlate with the traditional group based actuarial models. 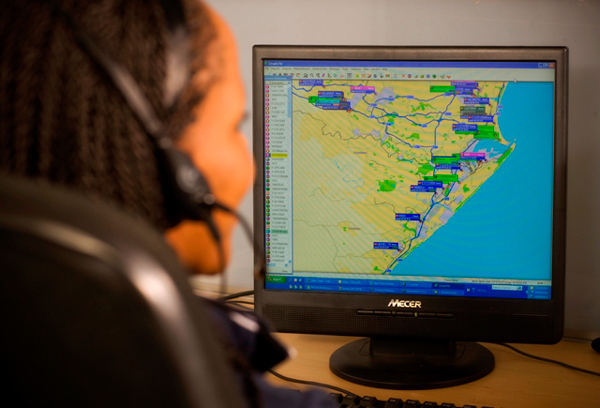 Ctrack provides the necessary information to allow the traditional and telematics rating models to co-exist or merge, while a new rating model is developed in parallel, being continuously optimised using the telematics information correlated with claims information. 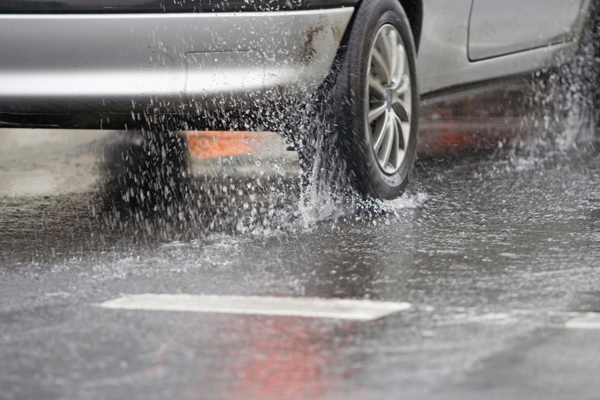 It is our experience that a driver’s behaviour, attitude and propensity to cause or end-up in risky situations on the road, can more than double the risk actually covered by the insurance company when based on usage patterns alone. Such skewed risk profiles will result in a mismatch between the calculated risk profile, required risk margins and the actual lost rate. Ctrack’s ABCsTM and Driver Behaviour technologies were specifically developed to address these risks. The Ctrack’s ABCsTM (Acceleration, Braking Cornering and Speed) and Driver Behaviour technology allows an insurance company to move beyond the first generation rating and telematics solutions based on traditional vehicle tracking and location technology. While it is almost impossible for an insurance company to change the usage pattern of an insured vehicle (these are normally dictated by external and relatively fixed factors), Ctrack’s ABCs™ allows risky driver and motoring behaviour to be monitored and changed. It has been shown that with suitable feedback and client interaction, one can significantly reduce the driver related risk factors, leading to a much improved risk margin as well as promoting overall safer and responsible driving. Question 4: How are the Ctrack ABCs™ threshold values determined and how does it feed the risk rating engine/model? Ctrack ABCs™ stands for Acceleration, Braking Cornering and Speed. These are the more important driver manoeuvers contributing to a vehicle’s driver related risk profile. Over the years and in partnership with the insurance industry, Ctrack has done extensive driver testing on normal roads as well as race tracks - private and professional drivers, F1 racing engineers and motoring journalists have all contributed to identify and then categorise vehicle manoeuvers in terms of their risk potential. From this body of work and based on local conditions, Ctrack would suggest the starting levels to be used. The risk factors and levels are then fine-tuned as part of the rating model optimisation to correlate with the insurance partner’s claims patterns. Question 5: Which Expert Driver Standards does Ctrack use to determine the driver risk? We are often asked: “what standards does Ctrack use to rate “bad” driving?” The short answer is none. We don’t believe one can apply these mostly arbitrarily defined “Expert Driver” evaluations or accolades as benchmarks for insurance risk. Of course there are overlapping attributes, but Expert Driver programs are normally earned under pre-planned and controlled conditions which removes many of the risk attributes found in normal day to day driving. Frankly, at Ctrack we believe there is an inherent flaw in applying these “expert driver” labels to insurance ratings and we have yet to see any data or studies to change this view. A critical question about standards which are overlooked in the telematics decision is “how accurate and repeatable is the on-board data gathering process of the telematics system?” These measurements are the starting point of the rating data trail - if the telematics system is not reliable providing reliable and consistent data, irrespective of vehicle type, vehicle size, installation location on the vehicle, etc, the data is not usable downstream to calculate fair risk ratings. 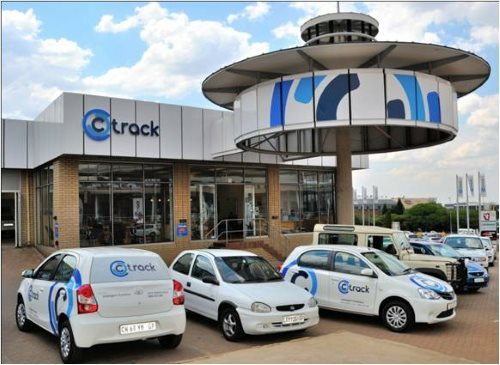 Ctrack uses the standards and best practice from professional technical bodies like the Society of Automotive Engineers (SAE) who advise on on-vehicle measurement methods and data processing strategies to ensure accurate measurement of movement parameters and driver maneuvers. In addition Ctrack units are internationally tested and certified to comply with EU and USA standards. Question 6: What new technology is Ctrack developing for Insurance telematics? 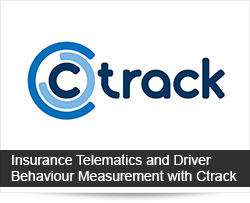 Ctrack continuously develops its Driver Behaviour Monitoring and Analytical capabilities. Most are for on-vehicle deployment, while off-board and post processing of the usage and driver behaviour trends also play an important part. A new technology soon to be released is Ctrack RiskCube™. This information cube is maintained on-board inside the Ctrack telematics unit and filled with selected data at sub-second intervals. 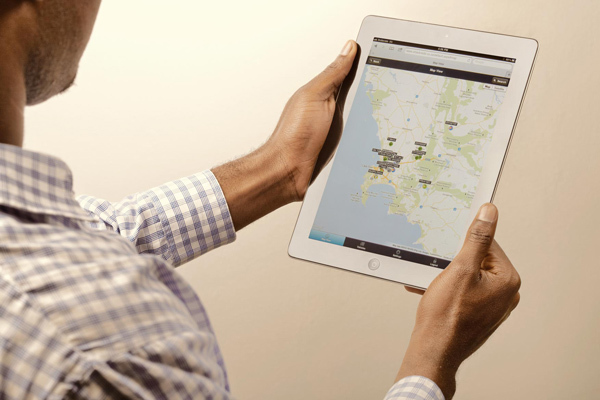 Information per trip and per driver is stored, allowing relevant high-resolution behavioural data to be accumulated, stored and sent to the Ctrack Cloud for further off-board analytics. This cube technology contains the result of Ctrack’s measurement and processing innovations which significantly reduce the amount of data required to be sent from a vehicle to the cloud, or back office servers, while retaining the critical information on vehicle maneuvers and driver behaviour. Importantly it removes the requirement for the telematics system to report massive amounts of second by second data, without losing any risk related information on the vehicle. Insurance Companies would typically merge these cube data sets on a monthly basis for analysis and risk ratings, while Ctrack uses the per-trip and per driver information to give feedback to the driver(s) and vehicle owner on improved driving and green motoring habits. Question 7: How does Ctrack compare with the research done by SMA and what is your view on future progress? 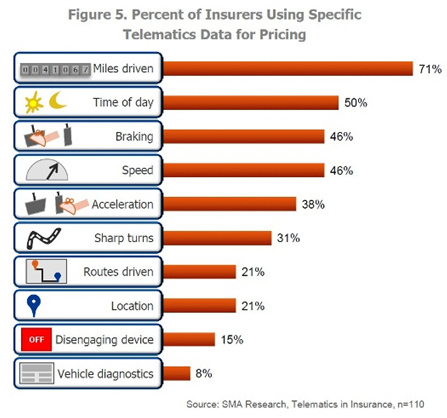 The above graph presents a historical view on the availability of these categories of data, rather than a pre-designed telematics implementation based on best value for the insurance industry. What is much more important than the number of categories is the scope and value of the information contained in each of these categories. Rule 2: Speeding Event reported: When speed is higher than the actual road speed limit at the location. It is obvious that rule two provides more risk information and value to the Insurer than rule one, while Ctrack’s rule three delivers significantly more relevant and necessary contextual information about the driver’s speed actions as it relates to risk. Referring to the graph above - Ctrack supplies all these and more information, with vehicle Diagnostics available on Ctrack’s soon to be released OBDII based Insurance telematics device. The parameters you monitor is only a small part of the telematics decision and its ultimate success - it’s HOW you measure, process and report these parameters to the back-office which makes the difference in telematics and adds real value. A last bit of advice: “You deserve what you paid for”, is especially true in the Telematics industry. There are real case studies in the market today of insurance companies who started off with low cost, entry level tracking devices and, after three or four years, had to start all over as the Insurance market has moved beyond the basic location, distance and speed based ratings.